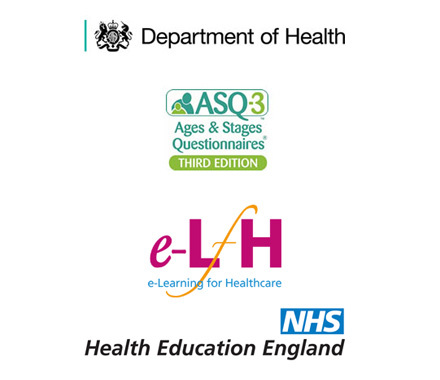 The three-part e-learning module, ‘Ages & Stages Questionnaires® and the 2 year review’, is an interactive resource commissioned by Health Education England in partnership with the Department of Health and other professional bodies. 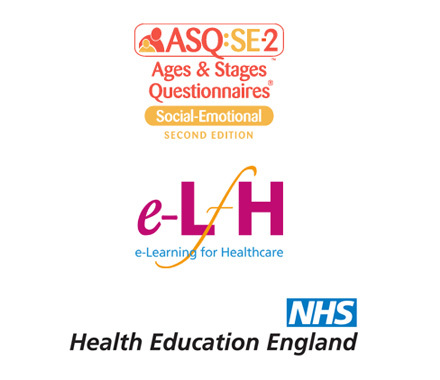 The module was developed by the University of Hertfordshire and HEE e-Learning for Healthcare and is designed to support health professionals using the Ages & Stages Questionnaires®: A Parent-Completed Monitoring System, Third Edition, (ASQ-3™) and the Ages & Stages Questionnaires®: Social Emotional, Second Edition (ASQ:SE-2) as part of the Healthy Child Programme (HCP) health and development review at age 2-2½. The Department of Health is developing a population measure to show child development at 2-2½ years, to be included in the public health outcomes framework from 2015. Data for the measure will be collected using the Ages and Stages Questionnaire (ASQ-3™), which is a parent-completed tool. Health visiting teams will therefore need to use ASQ-3™ as part of their HCP reviews at age 2-2½. The e-learning modules are designed to support health visitors or community nursery nurses using the ASQ-3™ and illustrate how the tool fits into the wider HCP review. Incorporating video clips from real-life 2-2½ year reviews, the modules cover the practicalities of using the ASQ-3™ and the areas of child development included in the measure, as well as best practice on scoring questionnaires and communicating with parents about ASQ-3™. The ASQ-3™ e-learning modules are designed to be useful to all those involved in delivery of the HCP reviews at age 2-2½. 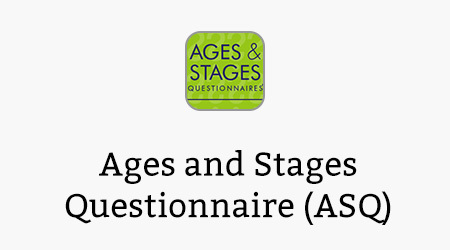 In this session you will be learning about the Ages and Stages Questionnaire-3™ (ASQ-3™) for use as part of the Child Health and Development Review. It will assist you to use and interpret the ASQ-3™ effectively so that parents and their children can benefit from the joint assessment that you will undertake with them. In this session you will be learning about how to incorporate the Ages and Stages Questionnaire-3™ (ASQ-3™) into the 2 year Child Health and Development Review. In this session you will be learning about using and interpreting the findings from the Ages and Stages Questionnaires: Social Emotional, 2nd Edition (ASQ:SE-2™) which is being used as part of the Child Health and Development Review. The ASQ:SE-2™ focuses on children’s social and emotional development and this session covers working in partnership with parents together with using, scoring and interpreting the outcomes for parents. It is designed to follow on from the two ASQ-3™ sessions. Policy Lead, Outcomes and Indicators, Maternity and Starting Well, Department of Health. If you already have an account with e-LfH, then you can enrol on to the ASQ-3 Programme by logging in to the e-LfH Hub, selecting My Account > Enrolment and selecting the programme. You can then access the programme immediately in the My e-Learning section. The ASQ-3 Programme is also available to NHS healthcare staff via the Electronic Staff Record (ESR). Accessing this e-Learning via ESR means that your completions will transfer with you throughout your NHS career.